Why do we say “Sat Nam”? This is Liya! 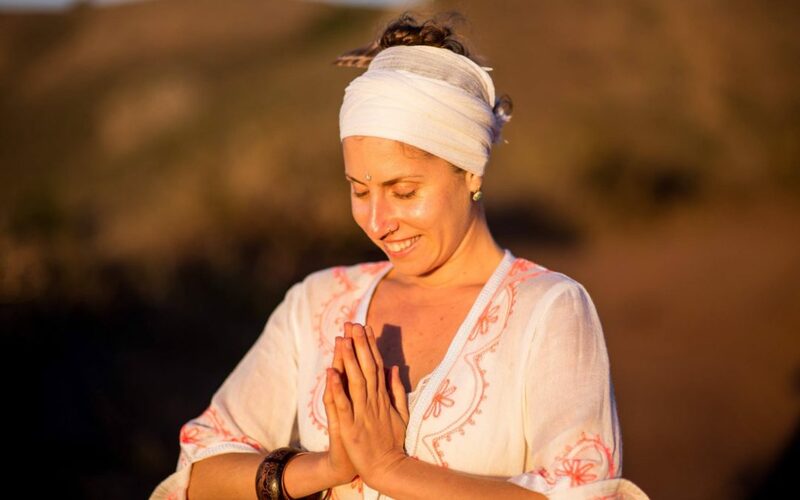 She’s the perfect combination of fire and sugar and she teaches playful, soul-healing Kundalini classes at Yoga Tree on Telegraph. Her classes fill up so come early! In Kundalini yoga class you are told to say “Sat Nam” either in our mind or out loud as you practice a kriya (exercise) or meditation. With the eyes focused on the third eye point, the space between the eyebrows, over and over you repeat the sanskrit words. Sat, pronounced “sut”, like “hut” means what never dies, was never born, what is eternal, changeless, essential, and blissful. Not the ecstatic bliss, but the peaceful bliss. It refers to you as consciousness/awareness (I will use the words consciousness and awareness interchangeably). “Nam” means name. The translation is “Truth is my name”. James Swartz, a prolific writer and teacher of Vedanta, the ancient science of self knowledge, defines consciousness as the “Inner IMMORTAL essence of every individual”. It is the essence of everything in the universe, or the Self. “Sat” or “Truth” refers to the nature of the Self. “Sat Nam” means “I am ever-present, ever-changeless, eternal, blissful awareness”. According to the ancient Vedic scriptures the Self is the only Reality. It is the only Truth. Everything else is ‘apparently real’ and is Mithyä (pronounced “mit” like “hit” and “ya” like in “how’ya doing?”). Thus, whatever is born, dies, or is temporary is mithya. Every thought in your mind and every emotion your experience arises (birth) and dissolves (death) into you, consciousness. Each experience has a beginning (birth) and an end (death). The body is born and the body dies. They are all mithya, and therefore “apparently real”, meaning, they seem to be real, they exist, yes, but they are temporary, changing, and therefore not the One Reality or Truth. But you, consciousness, are eternal. You remain unchanged by your experience. If you believe your experiences are changing you, then you are identifying with the ‘doer’ or the ego, the body/mind complex. The benefit of repeating “Sat Nam” over and over is that it helps us to re-identified with our true identity, as consciousness. The practical aspect of this is that when you realize that you are not the thoughts or emotions or even the body, then you are no longer limited or affected by them. You can enjoy, or not enjoy your experience for what it is, and not feel attached to the outcome because you are not dependent, nor affected, by the outcome. You don’t walk away scathed or changed, because you, as conscious existence, the witness, remain un-change. Experience without attachment is true freedom, liberation. Knowing who you are as consciousness, or the Self, is called Enlightenment or Self Realization. Yogis believe the purpose of life is to realize the Self. An enlightened person is able to discriminate between what is ‘real’ (truth), “Sattya”, and what is ‘apparently real’ or Mithya. When you can discriminate between what is Real (Truth) and what is not real, you will be free of limitation. It is the nature of universe and the purpose of the universe, to cover or veil this truth from us, so that we might realize it on our own. This is what is meant by “original sin”. Original sin refers to ignorance of the Truth. We are all born with this inherent ignorance. According to these ancient traditions, you must be taught this knowledge by a qualified teacher (a self-realized Guru) and to concentrate or focus on the Self in meditation as well as outside of meditation. It is the repeated application of the knowledge that eventually allows the knowledge to take hold and set you free. For centuries the Yogi’s have known that the combination of the physical and mental concentration exercises produces a state of mental clarity, a sattvic state of mind, that is capable of realizing our true nature. A mind full of chatter, distracted by the senses (ragasic), or a lethargic, dull mind (tamasic), will not have the clarity necessary to reveal this truth. Only in the past couple of decades have modern scientists been able to study and begin to understand (what yogi’s have known for centuries) the effects of these ancient meditation practices on the brain and the body. We now know that the practice of deeply concentrating and focusing our attention strengthens the part of the brain just behind the forehead called the prefrontal cortex (the position of the third eye point). It is the part of our brain that allows us to take information that isn’t in our immediate environment and use that to inform our decisions and control our emotions, thoughts, attention, and social behavior (inhibiting inappropriate behavior). In other words, it allows us to see with clarity. 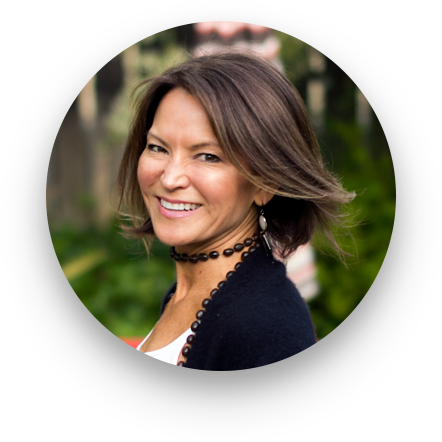 It is in direct communication with the more primitive parts of the brain, the amygdala, and the hypothalamus which are associated with fear and our emotions and impulses. When the prefrontal cortex is strengthened we can control these thoughts and impulses. When it isn’t, we are overwhelmed by them. This is when you lose it and regret the things you do and say and feel overwhelmed by your fears and worries. With the knowledge of the true meaning of the phrase “Sat Nam”, whilst simultaneously concentrating on the third eye point as we perform kriyas, we experience ourselves free of thought, we see ourselves as the ever-present, ever-changeless awareness. When you experience yourself free of thought, you will experience yourself as whole, and complete, unaffected, awareness (perhaps not at first but with repeated practice). You will see there is nothing missing. This is why many yogis can spend hours in meditation. They are experiencing their true blissful nature. It is only when a thought or a conditioned emotion arises that then makes you feel inadequate, unloveable, jealous, vengeful, or lacking in some way. Application of this knowledge as you move through your life frees you of these small-self-imposed limitations. At any given moment, and especially when you are feeling limited by your frustration, anger, or sadness, stop and reflect on who you are identifying with. Notice that you are the one observing the emotion in the body and the thoughts in the mind, but you are not them. You are the awareness that knows them, they don’t know you. They occur in you and depend on you, but you are not them. You exist apart from them, they don’t exist apart from you. Self-actualizing this knowledge, knowing on a moment by moment basis, is true freedom or enlightenment. By now you may be wondering what is the point? Why would the Universe hide this from us? This is the question that kept coming up for me. Why, what’s the purpose? In my research, I have found two separate sources that describe this purpose. Kabbalah, the mystical side of Judaism, and the Vedas, the oldest known spiritual text that scholars believe underpin all religions, both describe the concept that the Self, Spirit or Source created the Universe, in order to share the Love which is it’s true nature. Which begs the question: Share What? The nature of the Force’s energy is Love, “infinite fulfillment, boundless joy and limitless enlightenment”. But since it was the only One, in order to share, it had to create a vessel to receive the gift. You and I are the vessels. But if the Infinite One were to just give its nature freely would we appreciate the gift? Or like a spoiled child, when given too many gifts, would we take it for granted? Hence we are given Life and the obstacles that come with it so that we can realize our true nature as ever-present, ever-changeless, blissful awareness. Isn’t that what we are all searching for? Lasting happiness, infinite fulfillment? We are the happiness and completeness we seek in objects outside of ourselves. Search no more outside of yourself, search inside yourself. If you would like to read more like this please visit my website and signup for my newsletter. Autobiography of a Yogi, Paramahansa Yogananda.